Amid the gently rolling hills of San Martino in Pensilis in the Molise region of Southern Italy, Marina Colonna’s country house can be found nestling in a patchwork tapestry of sunflower, wheat and tomato fields, surrounded by the ancient olive groves that have been producing high quality, estate-bottled extra virgin olive oil for many years. Our guests get treated with organic produce from our garden, have easy access to Termoli Beach (15min drive), restaurants. The newly renovated ground floor guest flat is located on the south wing of the house, with the bedroom and living room opening straight onto the patio and gardens. There are two bedrooms, one double and one twin, and a bathroom created out of local stone. The lounge is large and contains unique art and furnishings from Marina’s private collection; the original fireplace has been restored together with the vaulted brick ceiling. A wide arch divides the lounge from a generous, modern kitchen and dining area, which are brightly lit by a skylight. The flat is self-catering, however breakfast and other meals can be provided on request. The towns of Larino, Ururi and San Martino in Pensilis are located close to the estate, and a short distance away is the seaside town of Termoli. The flat is self-catering, however breakfast, lunch or dinner can be provided on request. You will also have direct access to purchase our award winning olive oil. I am a passionate individual who value customer service. I love to host and more importantly I am satisfied when my guests are happy. This space is perfect for the individuals whom are seeking solitude, tranquility and peace but still want easy access to the city and local town life. This historic country residence is the perfect fit for families, girls trip, couples retreat. It offers an intimate setting. Guests can also enjoy a wide range of excursions to nearby natural, historical and tourist sites. The estate’s staff members are happy to assist guests in booking activities such as guided walks, cycling, horse riding, yachting, recreational fishing in the private lakes, dinners in nearby restaurants, food tastings with local producers of other gastronomic delicacies. During the estate’s olive harvest, guests can return home with oil produced from their own efforts in the olive groves! The estate also organizes its own oil tasting events and can arrange cooking classes and creative activities like photography, drawing, painting, ceramics and individual yoga sessions. Our spacious conference room is available for teachers & practitioners to organizes their own courses. Absolutely the best stay I have had anywhere! I cannot say enough about how wonderful this property is! Our stay here was the absolutely best time I have ever had anywhere. The apartment is gorgeous..the bedrooms are wonderful with extremely comfortable beds and the kitchen and living room areas are superb!!! Beautifully done and immaculate everywhere. The owner, Marina, and her family are the nicest people I have ever met. The property is beautiful and exceeds expectations n every way. This is a great great great property wth the kindest most helpful owners I have ever met. I am already planning my return trip before leaving Italy!we at so glad we stayed here. The experience was the highest quality I have ever had and I have stayed in many 5 star accmodations but this is better than all of them! If you want to have the best most relaxing and enjoyable stay of your life than rent the apartment and Colonna Country retreat. Beautiful, fun, immaculately clean, interesting and fun learning about the oils she produces which are the very best in all of the world. Thank you Marina and family for everything! We will be back again and again! I just don't have enough words to express how incredible and wonderful this property is. 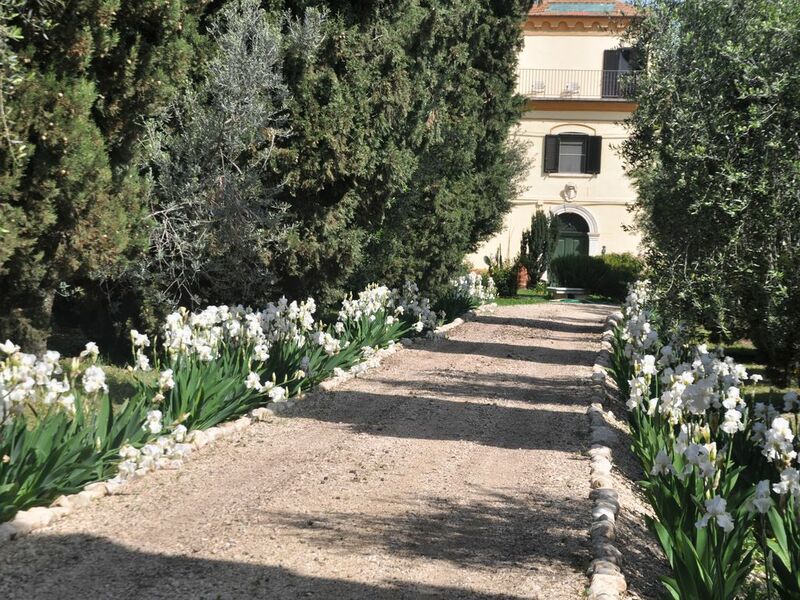 You will never see such a beautiful property and surrounding area anywhere else in Italy. I miss it already! So nice I was crying when we left! The coast is just twenty minutes from the farm, the region has thirty kilometers of beaches Termoli, the main town on the coast, has a medieval old quarter, once only inhabited by fishermen, the Swabian castle of Frederick II, and the tower of the meridian which marks the point where the 42nd parallel north crosses the 15th meridian east. The Adriatic sea beaches and crystal clear waters have the EU “blue flag”. From the busy fishing port you can take the ferry and spend a day or two on the Tremiti islands (1,5 hour trip): yachting, scuba diving and snorkeling are the most popular activities, but there is also a Benedictine monastery. The nearby Gargano promontory (Apulia): a one day tour. Monte Sant’Angelo has beautiful churches and a sanctuary dedicated to St Michael; the Foresta Umbra: amazing deep cool forest. The seaside towns of Peschici and Vieste and the breathtaking bays with their white cliffs and deep blue sea. A scenic coastal route is a must. 10 Km away: Larino, an ancient roman settlement, you can see the roman amphitheatre with interesting mosaics and the beautiful medieval cathedral. From Larino you can drive to Casacalenda (40min) a very pretty village, there are companies making very good products (cheese and sauces, jams, pasta and breads, biscuits etc) with a nature reserve; Ripabottoni: has very interesting ancient houses and is now also inhabited by foreigners who have bought and renovated many properties. This itinerary concerns the hill towns and views of Molise’s great asset: nature. The mountains, which are such an ever-present feature of the countryside, appear in all their majestic beauty in the massif of the Matese. In winter at Campitello skiing is possible, there are large equipped areas, splendid pistes for downhill skiing, hotels and residences on the plateau of the same name. The entire massif is a combination of natural and scenic values in kaleidoscopic succession from one peak to another, from one valley to the next, from the Crocella Pass (1219m) to Monte Mutria (1823 m), from the Gallinola (1923 m) to Monte Miletto (2050 m). Agnone. This hill town has an historic, working bell factory and museum that still makes bells for the Vatican and all over the world. There are also thirteen very interesting churches with amazing woodcarvings from the Neapolitan school (1600) and paintings, ancient Venetian houses and much more. Pietrabbondante is very near, it has an ancient pre-roman (Samnite) amphitheatre, in a beautiful landscape. Capracotta is also close, it is a village once inhabited by shepherds, there is a beautiful view as it is quite high and you can visit a pretty botanical garden too, cross-country skiing is a popular winter activity. You must not miss Altilia, a Roman settlement with a beautiful temple and theatre, situated in the plane under Sepino, a mountain village with spring water. This territory was a meeting and crossing point for the ancient Italic peoples and has kept the traces of its past both through the artistic monuments and the traditions of its friendly population. Some example of its historic and artistic wealth are: the Romanesque churches like San Maria of Casalpiano, the sober Gothic style of the crypt of San Maria Assunta in Guardialfiera, the austere castle at Civitacampomarano, the numerous canvases from the Neapolitan school that embellish the inner room of the churches, above all those of Ripabottoni, Casacalenda and Montorio, the organs and the church ornaments and vestments that have been finely inlaid by the skillful local artisans. The little villages, that are climbing up the hilly slopes and are crossed by characteristic and winding alleys, are enlivened during the feast days. The religious holidays are a unanimous expression in the squares and in the streets, with the sounds of ancient instruments like the "bufu" and propitiatory rites that are between the sacred and the profane. From uncontaminated woods to Mediterranean vegetation, the landscape varies from the green plains of the coasts of Molise to the severe hilly territory that guards the old natural resources. Keen horseriders can discover the very ancient Celano - Foggia sheep track, along which which flocks reached Apulia from Abruzzo in the past to spend the winter. Old taverns, rural churches and old farms dot the journey showing a lively, unforgotten and bygone life. Spectacular popular celebrations take each year in Molise. They include: a race of ox-drawn carts in honour of Saint Leo in San Martino in Pensilis on April 30th, at Ururi on May 3rd.